Recently, medical researchers have created a surge of ingestible electronics that do everything from tailoring treatments based on the needs of individual cells to helping you poop. As these devices become increasingly common in the lab, the U.S. Food and Drug Administration — that’s the regulatory body responsible for testing and vetting pharmaceuticals and medical devices — is left figuring out how to deal with the weird new tech. 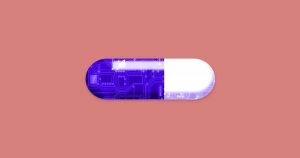 To make sense of the emerging new field of treatments, the FDA released a draft of newly-proposed guidelines for how developers can get smart pills approved. The people behind pills with electronic components generally prefer to submit to multiple approval processes, in order to let regulators approve the the pill and electronic components separately. But the new guidelines would require scientists to choose the single most relevant category and stick with it throughout the process. The reason that developers prefer to break things up piece by piece is because the regulatory process for medical devices may be better suited for the unique challenges of the electronic components of smart pills. Treating the whole package as one would a typical pharmaceutical may mean holding certain aspects of the treatment to different degrees of rigor than others, MobiHealthNews reports. The post The FDA Is Trying to Figure out How to Regulate Smart Pills appeared first on Futurism.